Andhra Pradesh Chief Minister N Chandrababu Naidu on Monday apprised South Korean business leaders of investment opportunities in the state. He was speaking during his first meeting with ancillary industries of Kia Motors here. Naidu, who reached here on Monday morning on a three-day visit, said that there are bright opportunities for investments in India and Andhra Pradesh. "Andhra Pradesh is growing at double digit rates for the last three years. Our aim is to grow at 15 percent for the next 15 years. 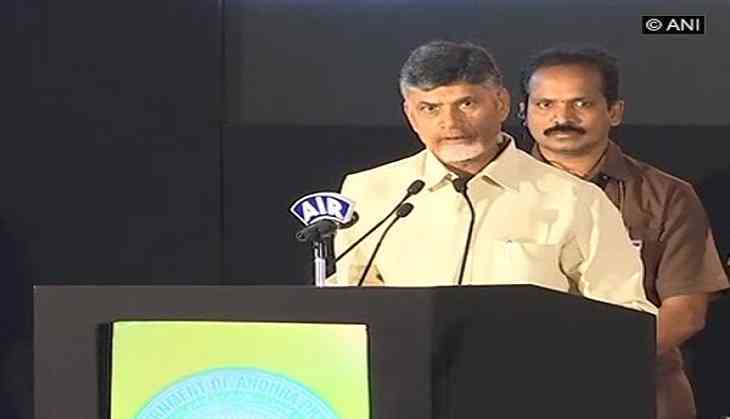 India's Look Easy Policy will bear fruit only from our state," he said, adding that that "Andhra Pradesh has good and growing infrastructure, well-maintained law and order and abundance of quality human resources". Expressing that he is impressed with Korea's progress against all odds, the Chief Minister invited them to bring more investors to the state, for the establishment of a South Korea City. "Make our state your second home, we will facilitate everything", he said. Naidu said that the purpose of the meeting was to assure the investors that he will solve any problems they might encounter in doing business in AP. He also said that the site they have chosen in Anantapur, is strategically located, due to its proximity to Bangalore Airport as well as Krishnapatnam Port. The Chief Minister also assured them that their requirement of a Railway overbridge will be fulfilled soon. After presenting their proposal of site plans, projects, investment and direct and indirect employment creation, they were shown a video on the progress of the land levelling done on the site allotted to Kia Motors.